Ether you are a novice RC enthusiast or a veteran, you will be amazed by the advancements made in every feature that OSRC has to offer. Forget whatever you known so far about RC and was limited by features derived from channel count, operational frequency or plainly the price. OSRC provides most of its advanced features even with a Basic setup and takes you to a new level of control. The Ilios HD Kit was initially designed for mechanical applications, where precision and reliability matters the most. In its assembled form it can produce stunning results with the help from its highly accurate motion construction and electronics. What makes the Ilios assembly stand out from the rest is its solid construction, which is assembled entirely from aluminum components, assuring reliable and long lasting life. rdGizmo For You LTD, creates two products. 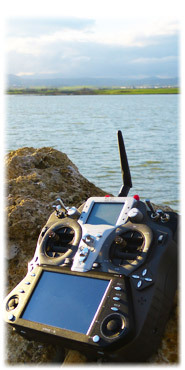 The first one is the very well known OSRC system, which is a wonderful and innovative Open Source remote control. It packs tons of features and accessories for any kind of remote control application, may it be Drones or Robots, OSRC shall excel either way. 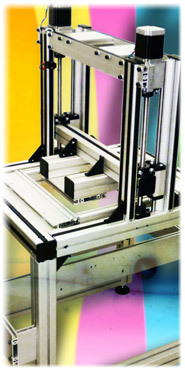 Besides OSRC and while in its development, a need for a 3D printing solution arose. Without resources for expensive equipment, a custom solution was designed in order to prototype and manufacture future components for OSRC it self. After initial prototyping and tests, the 3D printer Kit under the name Ilios, became available for purchase by other enthusiasts and developers. To find out more about each products and its features, please use the links above. Besides the main products, there are many additional accessories as well as third party products, which can be combined and produce brilliant results for your own application.